Comet 202931A. 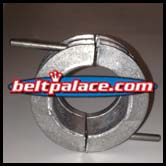 Die-cast Aluminum weights (shoe driver assy). 146.8 grams. Springs sold separately. Home > Comet Clutches and Parts > Comet 216115A, 2-Pack of “Blue/Silver” Garter Springs. Comet 20/30 Series (Jr. Dragster). > Comet 202931A. Aluminum weights (shoe driver assy). 146.8 grams. Springs sold separately. Comet 202931A. Die-cast Aluminum weights for shoe driver assembly. High performance at 146.8 grams. Garter springs NOT included! 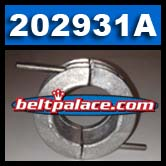 Genuine Comet Industries 202931A part. Made in USA!